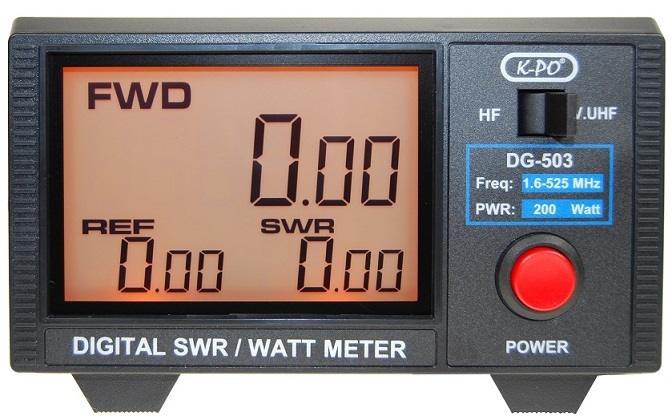 The K-PO DG-503 is a High Quality digital SWR & Watt meter for accurate measuring for Forward Power & Reflected Power & VSWR. The K-PO DG 503 has a frequency range from 1.6 to 60 MHz (VHF) and from 125 to 525 MHz (UHF) and a power range from 0 to 200 Watt. The K-PO DG-503 has 1 x UHF-female input connector and 1 x UHF-female connector for the VHF band (1.6 to 60 MHz) and 1 x N-female input connector and 1 x N-female connector for the UHF band (125 – 525 MHz). 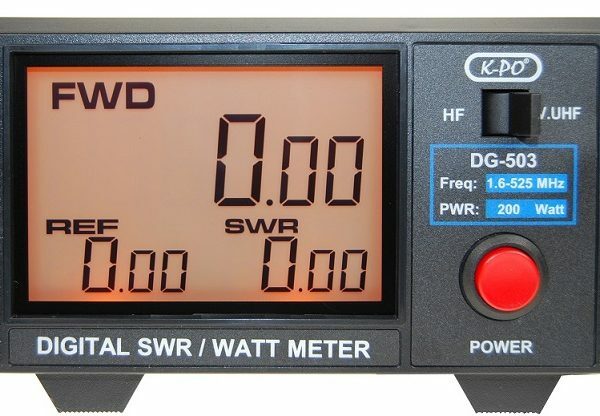 The K-PO DG-503 voltage is 12 Volt. Large LCD (3.5″) display for easy of reading. 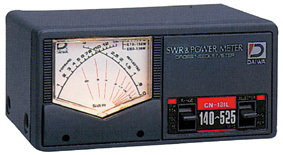 Forward / Reflected power / VSWR ratio in one push button.